Finally! It's time to dig warm hats and mittens out of the blanket chest and to swap the T-shirts in our bureau drawers for turtlenecks. I wasn't sure it was ever going to happen this year; a week ago I was still picking tomatoes and putting up sauce. But at last the nights are getting chilly—especially where we are right now. 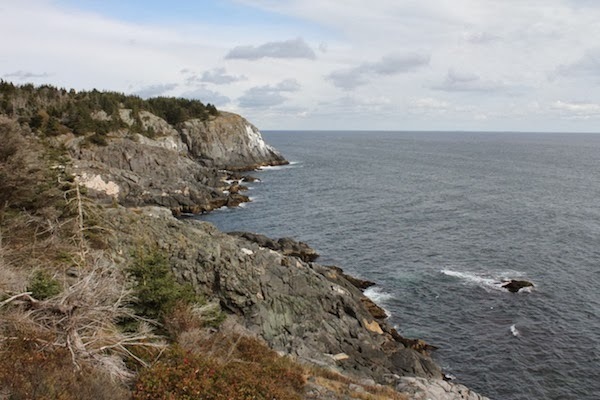 We're spending the last week of October with our family on Monhegan Island, 10 miles offshore. It's a magical spot, scarcely a square mile in size. Jan and I have been coming out here since the late 1970s, and Elspeth and Anna grew up coming with us every spring and fall. Now we've introduced Alex, Sally, and Andy to the island too, as well as my cousin Elizabeth, who flew up from Virginia to join us this year. We arrived a few days ago, chilled from the hour-long ferry ride. Fortunately we came with two quarts of Gypsy Soup in our bags (along with all the rest of our food). I made it a few weeks ago and froze it, knowing we'd want some nice soups on the island. We walked up the dirt road to our rental house, brought in all our gear, and while Jan and Alex built a fire in the big stone fireplace, Elizabeth and I fixed lunch. Twenty minutes later we all sat down to a good, hot lunch of Gypsy Soup and grilled-cheese sandwiches—happy to be here, and happy to be warmed by our own homemade soup. This delicious soup uses many of the late-summer and fall vegetables that we grow in our garden or get from our CSA. The recipe, with a few small changes, comes from the original Moosewood Cookbook—one of my best-loved cookbooks. You can double or even triple the recipe, and it freezes beautifully. I make this well into the fall and also freeze several quarts of it for the winter and early spring. The recipe below serves 4. In a large soup pot, heat the olive oil and sauté the onions, garlic, celery, and squash or sweet potato for about 5 minutes. Add all the seasonings and the stock, and stir well. Simmer, covered, for about 15 minutes, until the squash or sweet potatoes are soft. Add the tomatoes, peppers, and chickpeas and simmer another 10 minutes or so, until all the vegetables are the consistency you like.